Over the last few weeks, many retailers (and subsequently news channels) have published their top toy lists. As you can guess, these are dominated by large toy companies such as, Disney, Mattel, Hasbro and Lego. But what about popular toys in other countries? Of course, many of the toys we see here in the UK are equally as popular across other regions of the world. In fact, you could say that children share a common language through the toys they play with. We came across this insightful photographic project by Italian photographer Gabriele Galimberti. 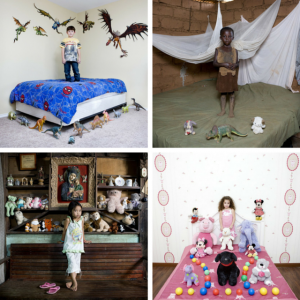 He travelled to 50 countries to photograph children and their toys. The result, Toy Stories, is an interesting documentary sharing the similarities and significance of toys (to their owners) around the world. For example, we see a boy in Texas with his dinosaurs, and a girl in Malawi with hers. Although the Texan has a more extensive collection they both share the belief that their dinosaurs will protect them from things that come out in the night. Or compare Allenah in the Philippines and Farida in Egypt with their love of soft toys. While not all children across the globe can expect to receive one of the “top toys” this Christmas, it’s heartening to see how multicultural many toys are. It should come as no surprise that as adults we often find common ground with other nationalities when remembering the toys of our childhood. Understanding a country’s culture is just as important as accurate translations when it comes to website localisation or marketing translations. While you wouldn’t assume that all countries celebrate Christmas, to succeed in overseas markets you need a greater understanding of culture than just the surface details. 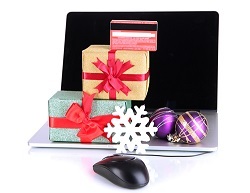 Whether it’s the toys children play with or the traditions and customs celebrated, knowing these details will enhance your communications and help your business thrive abroad.